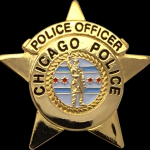 Vincent Edward Derrig, USMC Veteran and Chicago Police Officer of 36 years, passed away surrounded by his family on March 21, 2019. Beloved husband of Jeanette Derrig nee Buss. Loving Father of Michael (Marie), Matthew (Jacqueline), and Andrew (Anita). Memorial Visitation will be held on Thursday, March 28, 2019 at Olson Burke Sullivan Funeral and Cremation Center, 6471 N. Northwest Highway, Chicago, IL, 60631, from the hours of 5:00 pm until 8:00 pm. In lieu of flowers, the family kindly asks for donations to be made to the Wounded Warrior Project Inc., www.woundedwarriorproject.org/donate. Sorry to hear this sad news. Vince was a great guy both on the job and off. I had many laughs with Vince over the years. I offer my condolences for your loss. Mike, our thoughts are with you and your family at this difficult time.